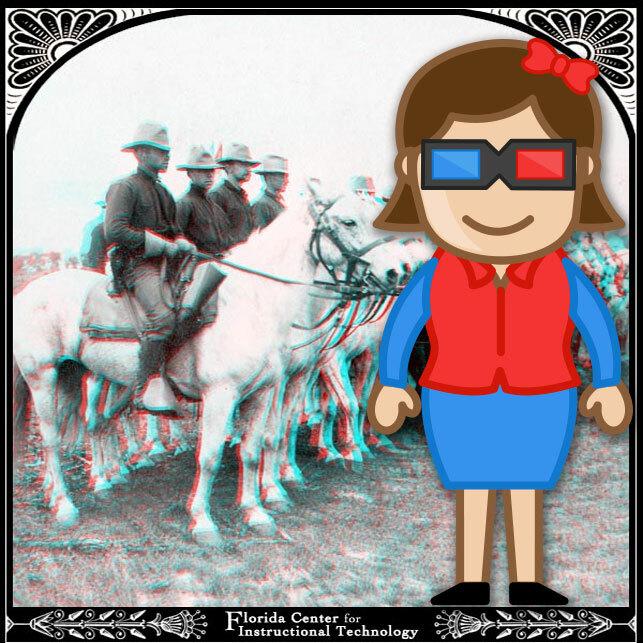 April 21, 1898 marks the beginning of the Spanish-American War. On that date Spain severed diplomatic relations with the US and declared war two days later. In response, the US declared that a state of war had existed since April 21. 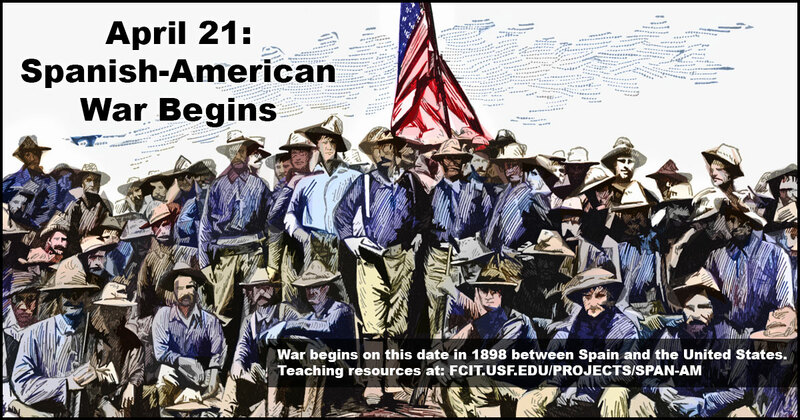 Use this banner on social media to share our collection of Spanish-American War teaching resources. 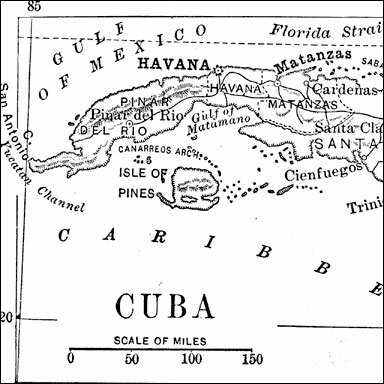 Maps of Cuba, 1898 through 1920 from FCIT’s Maps ETC website. 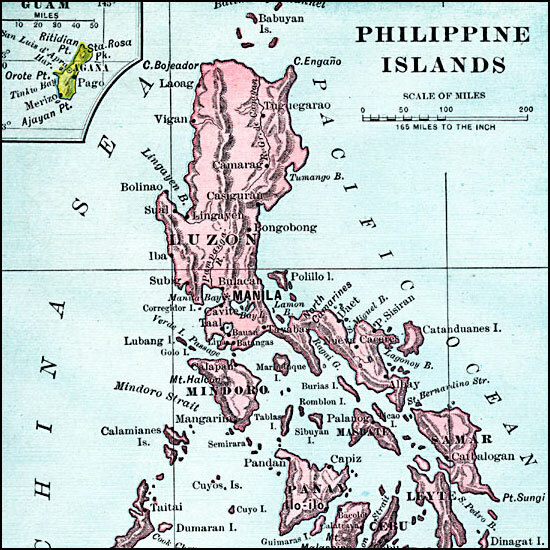 Two dozen maps of the Philippine Islands that became a possession of the United States after the Spanish-American War. 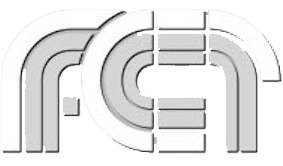 The example image above is from 1899. Stereoviews of the Spanish-American War including troops on the move, supply transportation, and the “Maine” wreck. Red/blue 3D glasses required. 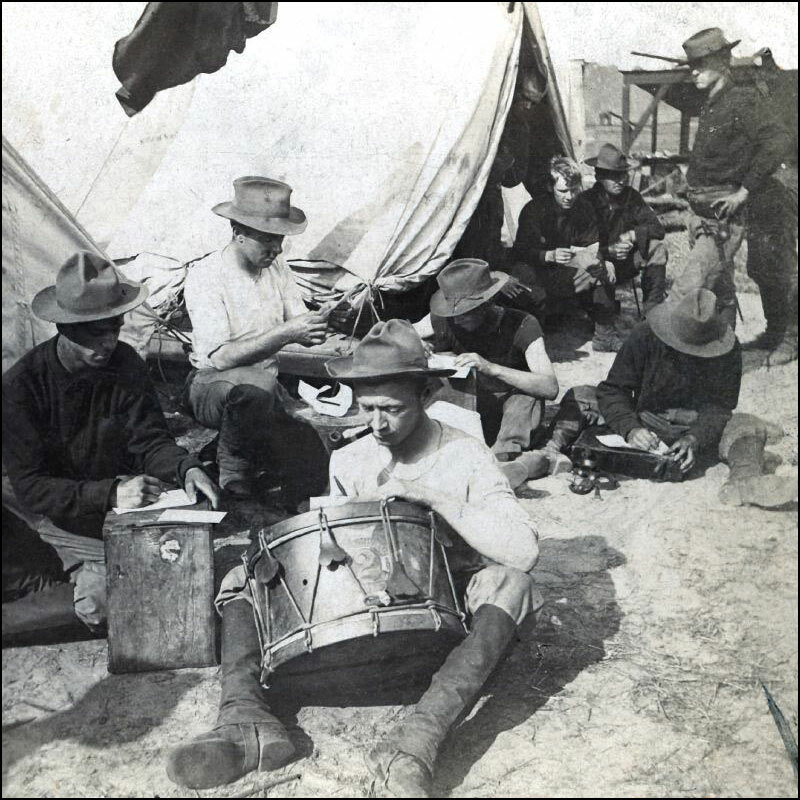 Stereoviews photos of soldiers passing the time writing letters home, waiting in line for food, or just relaxing. Red/blue 3D glasses required. 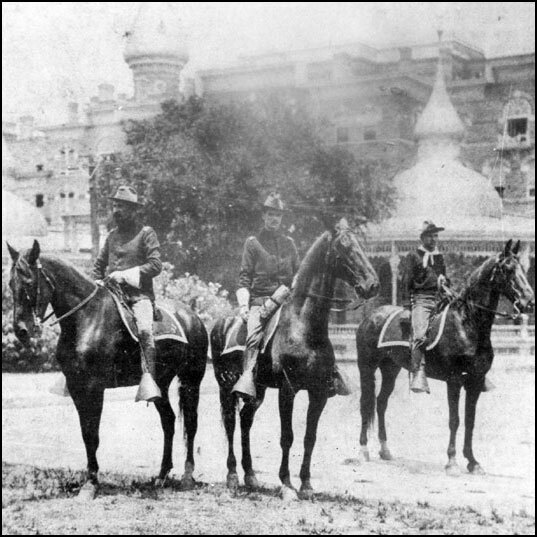 Stereoviews of Roosevelt’s “Rough Riders” and other members of the cavalry preparing for action. Red/blue 3-D glasses required. 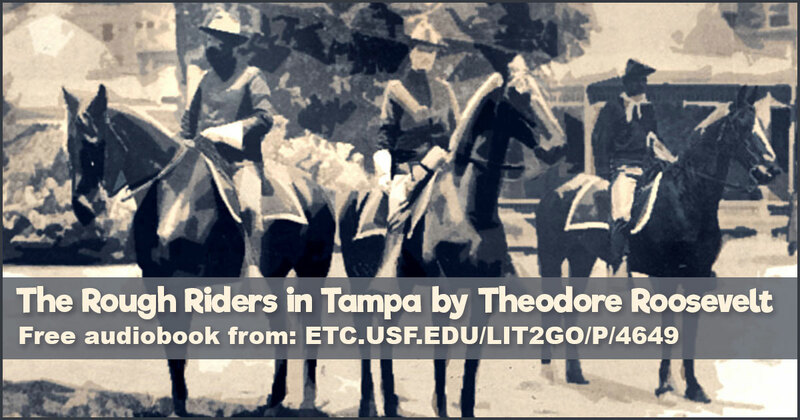 Passage describing the Rough Riders’ journey through Tampa on their way to Cuba. Excerpt from The Rough Riders by Theodore Roosevelt, 1899. 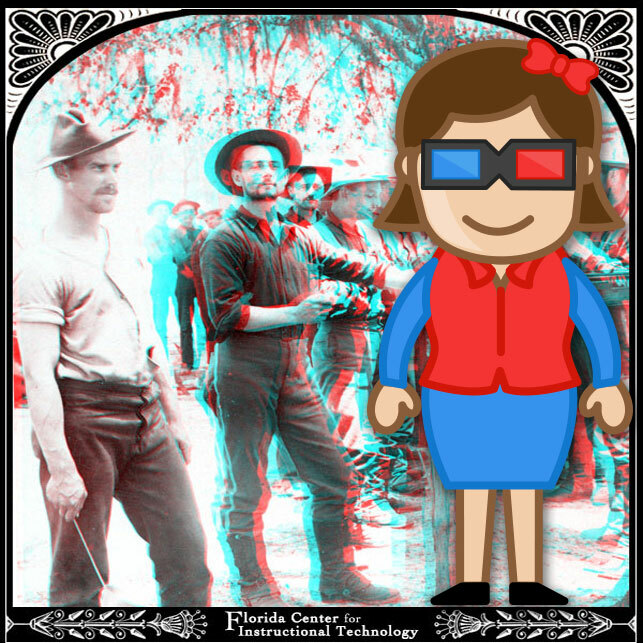 All of the 3D stereoview photos converted to regular 2D photos for viewing without the special 3D glasses. 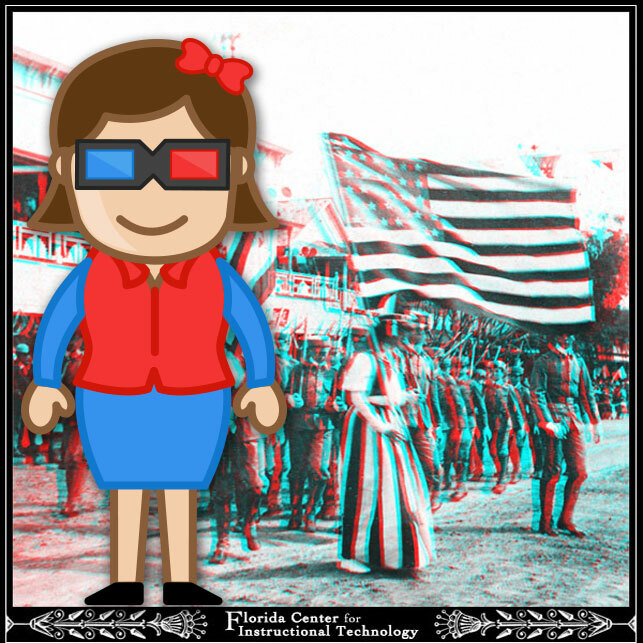 Images are from the Exploring Florida website. Historic photos of preparations in Tampa for the invasion of Cuba. Image above is of the Tampa Bay Hotel grounds. 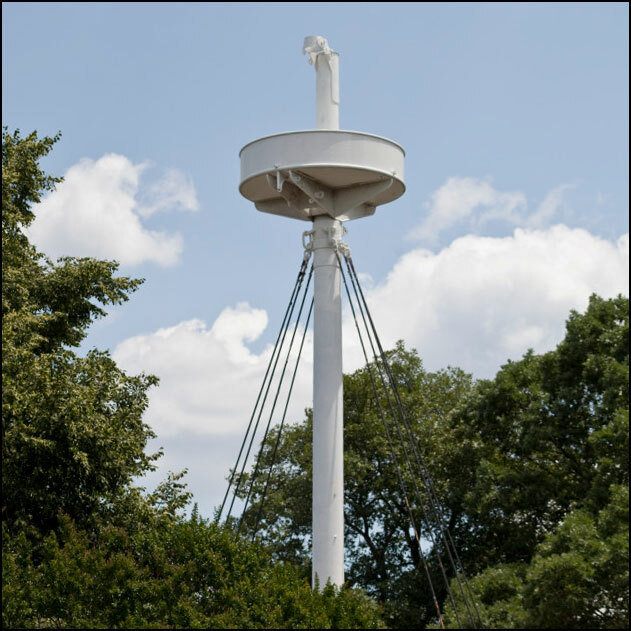 Spanish-American War memorials at Arlington National Cemetery from the ClipPix ETC website. Image above is the mast of the U.S.S. Maine memorial. 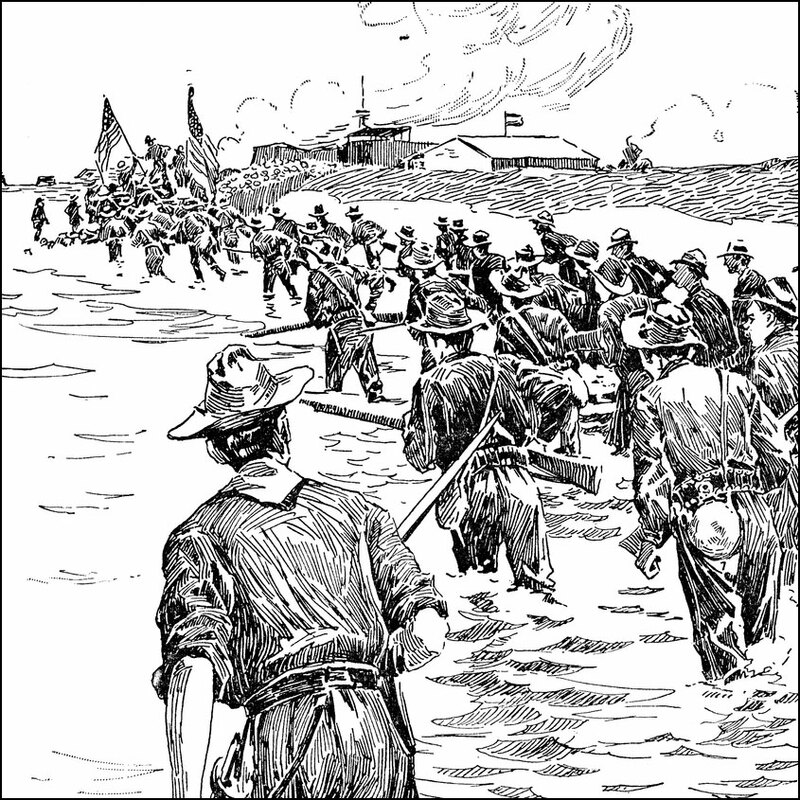 Black-and-white line drawings of the Spanish-American War from the ClipArt ETC website. The image above is the capture of Manila.